One of the biggest challenges physicians and managers have is building their team with excellent engaged employees. Many clients have come to me with a stack of resumes, looking for the perfect Practice Administrator (PA). They are typically looking for the person with the most experience they can afford for their size practice. I counsel them not to just look for the person with the most experience, but the person that best fits their culture with the skill level to perform the job – even if it means they will need some training. Initially, this process may sound like more work for the managing partner or owner physician to train them. However, keep in mind the time it takes to fire and replace an ineffective PA or rein in a rogue PA. The time it takes to modify your selection criteria and process can pale in comparison to the alternatives. There are many reasons to hire for “fit” of your organization’s culture. Sometimes it makes sense to hire a less experienced candidate, but one who is more apt to learn and be successful in your environment. Along with adaptability, the salary range will be lower for the less experienced applicant, leaving some room in the budget for training and mentoring from an outside source if preferred. It also leaves room for the PA to stay and grow their skills and salary with the practice. Can you change an employee’s personality and work ethic to fit your culture? Experience has taught me that the most experienced candidate may come with many ingrained “bad habits”. Unfortunately, instead of performing the job the way you want it done, they end up doing it their way and that way can be very costly. In one rather extreme situation, a practice hired a PA with great experience on paper but ended up almost bankrupting the practice by replacing some of their technology with systems used at his last job – which were not a good fit for the current practice. Turns out the PA had a relationship with the salesperson from the technology company. How do we interview for “fit”? In addition to your typical screening process, here are a few practices that led to success for our clients. Meet over-the-phone: After you cull down the resumes to the applicants you want to interview, start the process with a phone interview. I like to hear their voice and how they present themselves on the phone. Ask questions about their background, gaps in their work history, etc. and make notes -so if you end up interviewing them in person you can compare their phone interview answers to their in-person answers. Go with your gut, if you get a good feeling on the phone, bring them in for an in-person interview. Learn how they think, not just what they know: In addition to standard interview questions, use behavioral interviewing techniques during the in-person interview process. Think of common issues that come up in your practice that the PA will probably encounter and develop questions. Tell me about a time two Providers did not agree about _________(fill in with a common problem in your office) and how you helped to resolve the conflict. Tell me about a time you had two major projects due at the same time and how you managed your schedule to accomplish both goals? Tell me how you used your conflict resolution skills to help two employees work out a conflict over _____. 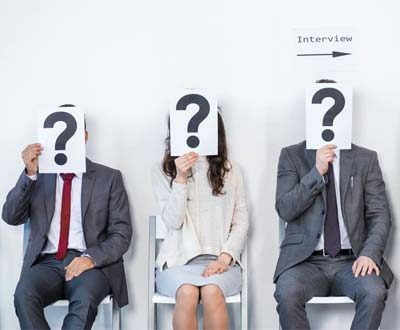 If you are considering giving a less experienced applicant a chance to “move up” into the position, add a question or two about new positions or challenges they have conquered in the past and how they did it. Get the applicant in action: If you get a good feeling during the in-person interview, bring them back for a “working” interview. Have them come back for an hour, on another day, at opening time. Ask them to sit with the front desk staff for about 20 minutes and 20 minutes with the clinical staff to view their work or shadow them. Then spend the remaining 20 minutes asking their impressions and answering any questions they may have. After they leave, ask the staff for their first impressions. It can be insightful to hear their impression of the applicant’s behavioral and emotional characteristics and communication skills. Whether you find the perfect experienced candidate or one you will need to invest time training, using these techniques will help find the candidate that fits your culture. We help our clients search for, train and mentor Practice Administrators. Let us know if we can help you!